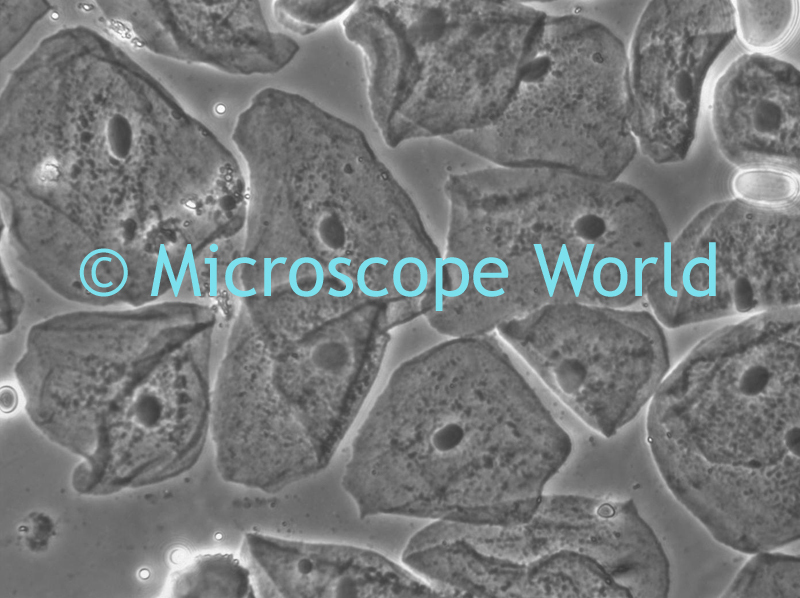 Most biological samples are clear or transparent and need to either be stained or viewed with contrast enhancement techniques in order to be visible under the microscope. 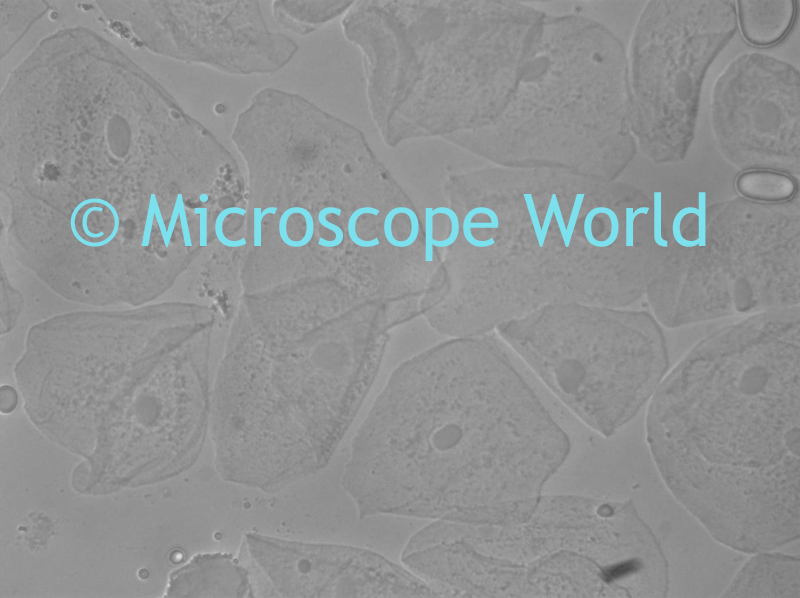 In 1938 Frits Zernike, a Dutch mathematician and physicist, developed what is now referred to as a phase contrast microscope to allow these types of specimens to be seen and examined. He modified both the lens and the condenser by putting a ring in both and aligning these elements so that the rings lined up. 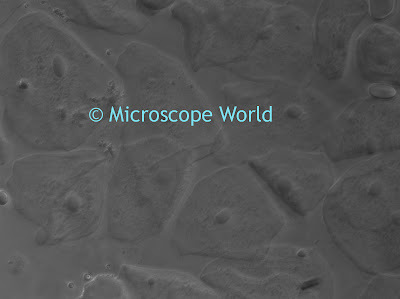 This caused a phase shift of the light where it went through the sample resulting in a detailed image of the specimen. 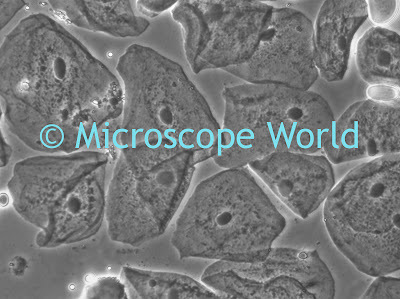 All microscope manufacturers now product phase contrast microscopes for a variety of applications based on this design. 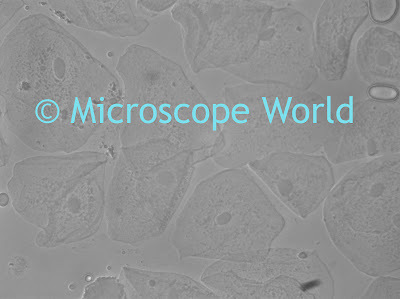 Almost all inverted, or tissue culture microscopes, use phase contrast or other contrast enhancement techniques since samples are typically tissue samples or live cells. Live cell samples cannot be stained without killing the sample. Other techniques to do this are Differential Interference Contrast, referred to as DIC and Hoffman Modulation Contrast, both of which are considerably more expensive. 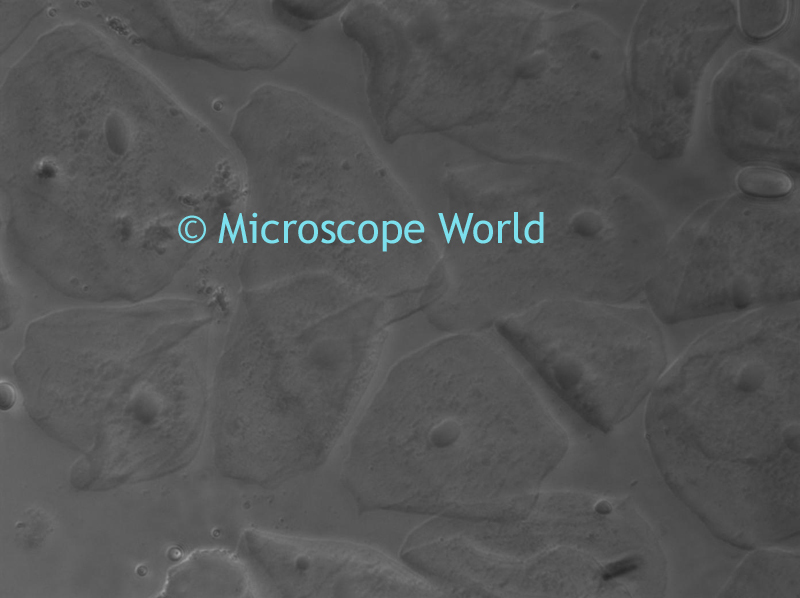 Phase contrast alignment is simple but critical, as seen in the cheek cell images shown below. The technique to accomplish this can be found here. 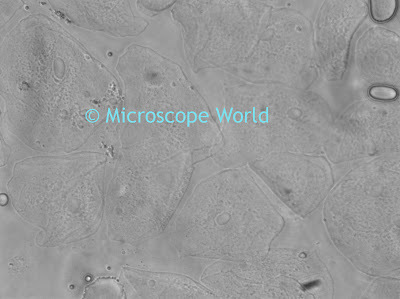 These are cheek cells under a brightfield microscope at 40x. This is the exact same slide as above with phase contrast added. 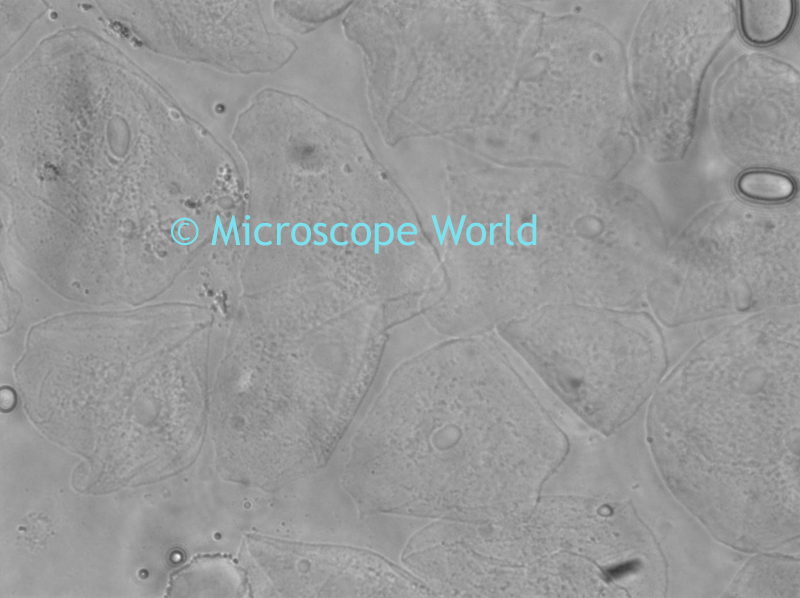 This image was captured using the Motic AE31 inverted microscope with a 40x LWD phase contrast objective lens and the Lumenera DK1-CCD monochrome 1.4 mega pixel CCD microscope camera. This is the same slide with the phase rings misaligned. This is the same image with the wrong phase ring used.